roadways for easy access to trails. 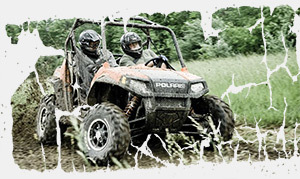 ATV/Snowmobile Permits allow access only to Garrett County Government Maintained roadways. Check the roadmap before riding to make sure you only access roadways designated as COUNTY on the map. Restrictions apply to operating an ATV or snowmobile on Garrett County Maintained Roadways. Read full regulations in the permit information and legal resolution documents before riding.